Fitting an awning to your home requires careful planning and preparation to ensure it is secure and safe. 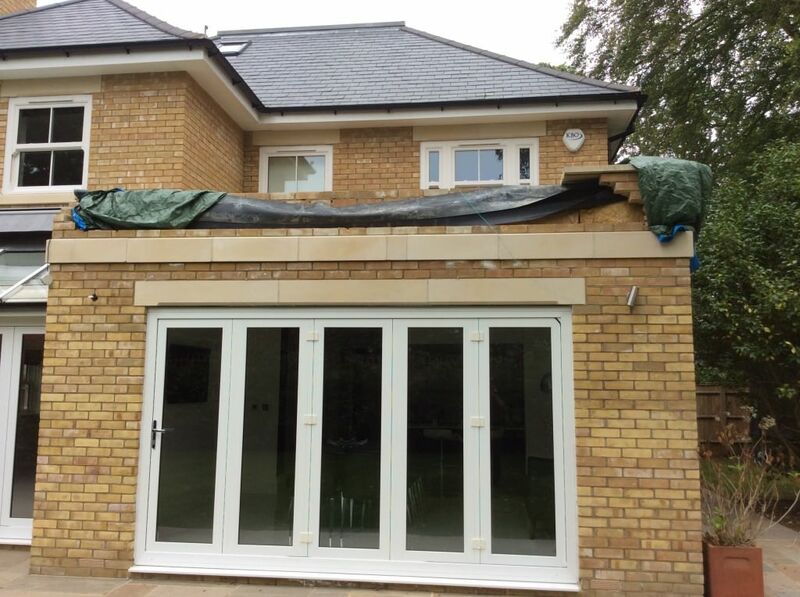 When extended, the weight of an awning can bear force onto the top of the wall to which it is attached, so it is vital that these loads are counterbalanced to avoid damage to the brickwork and to ensure it doesn’t fall down. The photo above shows an example of a poor awning installation carried out by a top awning company in London, that we were called in to fix. The awning was fitted to the very top of the customer’s orangery roof without any brackets to spread the load. This resulted in the awning falling down in the middle of the night and causing lots of damage to the top of the wall and the orangery roof – luckily no-one was hurt! 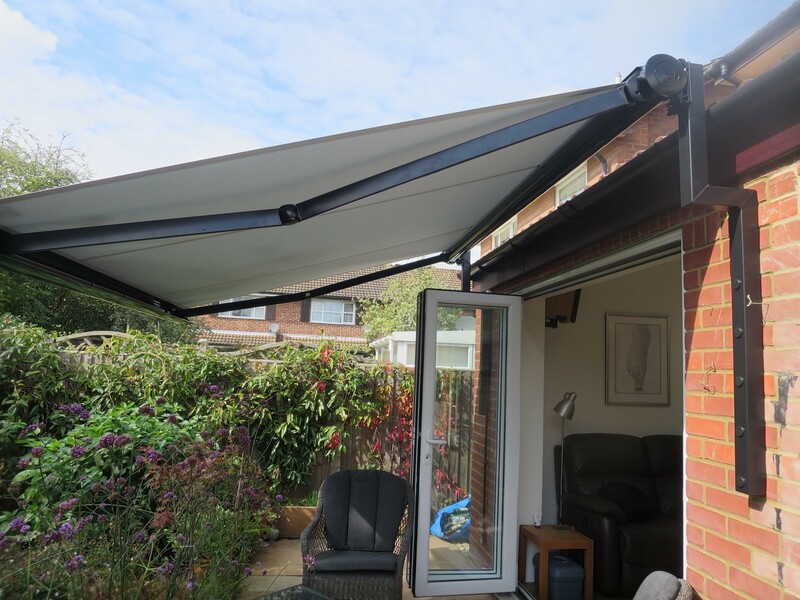 This demonstrates just how important it is to get your awning professionally fitted by experienced fitters and to ensure the fittings used are of a high specification. 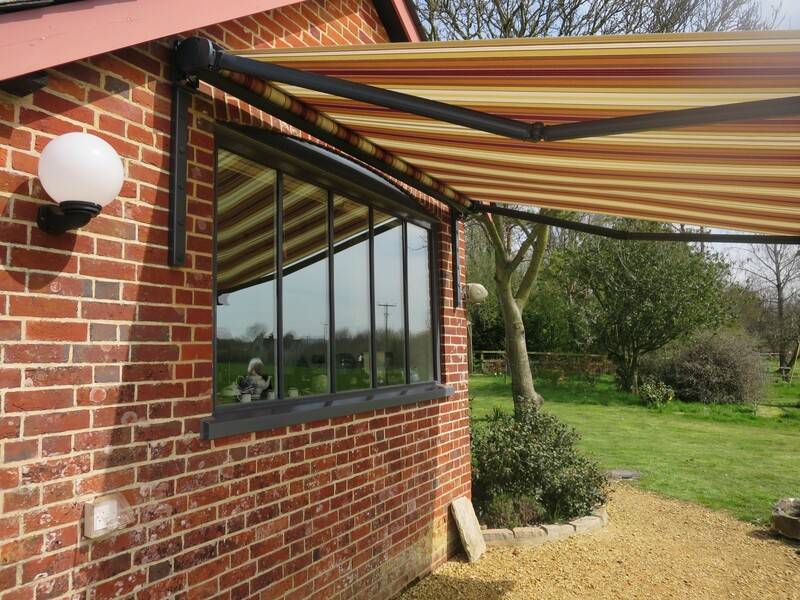 Here at Awningsouth we believe that awnings need to be fitted with the utmost of care and so we always use high quality wall brackets that have been specially designed to attach awnings. The company that we use are the market leaders in providing installation solutions for awnings and they have over 60 years of experience in metal fabrication. All of the brackets are custom made to the dimensions of your awning and they come in either mild steel or stainless steel in all RAL colours. In order to ensure a strong anchoring in the brickwork and make sure the load is spread out effectively, we typically use a spreader plate to fit an awning to a standard wall. The standard dimensions are 930mm in length with five fixing points. This strong and robust wall bracket is fitted to the wall using a mounting plate and stainless steel studs. The awning simply attaches to the five fixing points. The Gutter Bracket is especially useful when there are drain pipes or other obstructions in the way, or when extra height is needed for the extended awning, due to a small space between the top of the door and the roof fascia board. Like with the Spreader Plate, the Gutter Bracket is fitted to the wall using a special mounting plate and stainless steel studs and the awning fixes onto the five fixing points on the protruding plate. If you’d like more information about our expert awning installation services and awning brackets, call our friendly sales team on 02381 290170, email info@awningsouth.co.uk or book a free design consultation for a customised quote.